At the end of the last exciting episode of this is my boring life, we left our intrepid hero sick in bed. 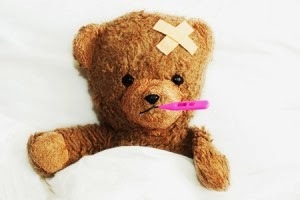 Sadly the sickness continued throughout the week. When I woke up Monday I was already forty minutes late for work. I called into work, rolled back over, and promptly fell asleep. I awoke at 11:00. I had built up a little bit of strength and didn’t feel very sick. So I decided to do a half day at work. I showered and put on my work clothes. I walked down to the car and suddenly felt really weak. I was suddenly hit with a wave of exhaustion. I went back inside, climbed into bed next to the cat, and slept for three more hours. That day at work really took it out of me and I had to stay home sick again on Wednesday. I slept till eleven in the morning and then took another 3 hour nap in the afternoon. By the end of the work week it was down to just being a cold. I had a cough, some snot, and still wanted to sleep a lot. Friday afternoon my work put on its Halloween party, or Fall Frolic. It was fun though I very quickly got tired again. On Saturday I helped with my apartment complexes Halloween party. The most important thing about it being October 31st wasn’t that it was Halloween. It was Nanowrimo eve. So I spent Saturday evening outlining my novel. Sunday I got up wrote a thousand words in my novel after setting all my clocks back an hour. I then watched the Bears lose a game they should have won.